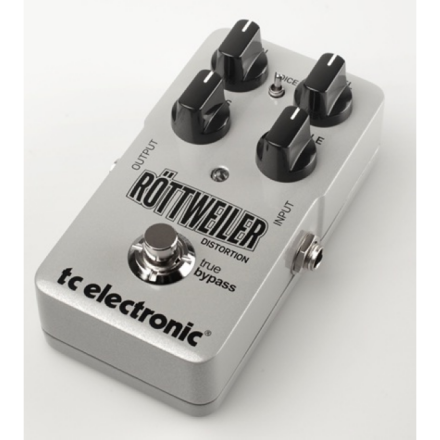 Röttweiler Distortion, Distortion from TC Electronic. 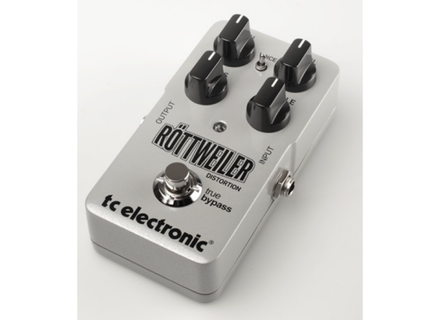 CautionHot's review (This content has been automatically translated from French)" A rttweiler who are under the tooth"
TCElectronics offers us an analog type distortion pedals Hi-Gain made in Thailand, but Danemark.Les rglages Designed to include a Galise two bands, one volume and one of potentiomtre gain.A this added a small switch which is a mid-rvle boost.La PDAL is solid and has a true bypass.L CSTA stack be at the back of the p dale in dvissant a large screw. The manual absent from the bote, some people who can GNER achtent the distorsion.Bon their first, do not worry, the manual is available on the TC (that is indicated on the bote but nobody ever takes the time to dballe and examine the box). on the other hand, as in Boss, Morley and others, there is a small pub for other products to test marque.Pour I DCID to a standard 9V battery so you can test it without my diet (Harley Benton Powerplant) can not stack the deck of test.Ma guitar is a LTD EC-1000 Deluxe (EMG 81-60 ) and the amp is a combo Bugera V22 (three 12AX7 and 2EL84). APRs have disables the stand-by to my amp, I'm clean.Tout rglages are the twelve o'clock on the pedals and the amp. "By operating the switch, this is the moment that gets a slap ... 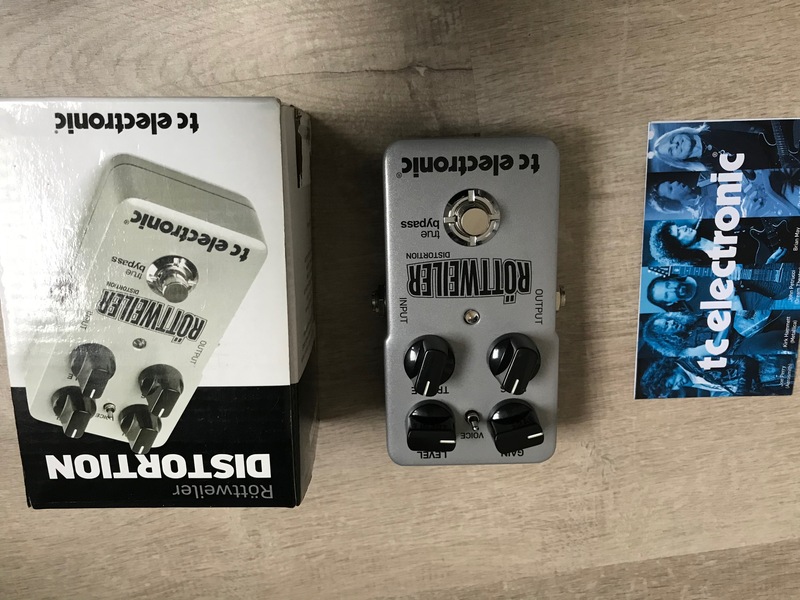 Both pedals are Hi-Gain! The legalization is the history of tweaking the sound (or plutt, grain). 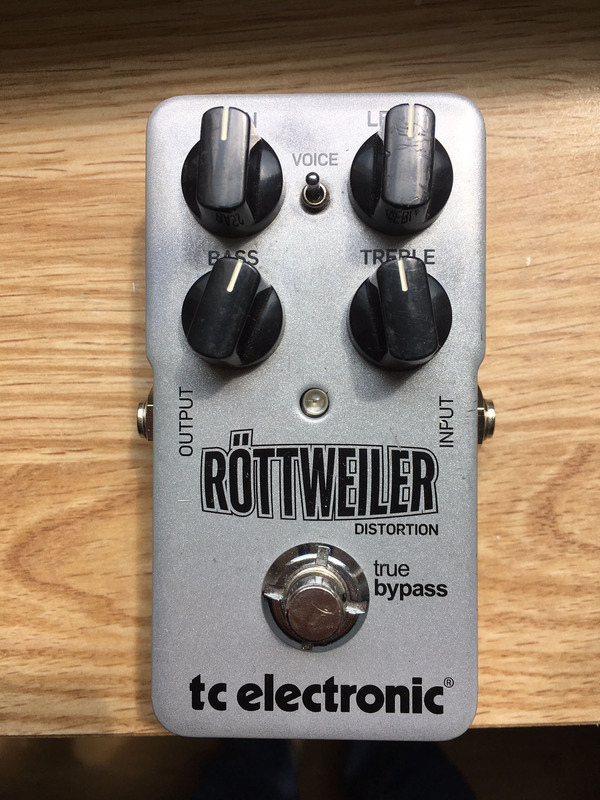 What is thundering with the pedals is that even with the gain at its lowest, we have d j distortion devastating for all that is hard-heavy-trash .. I mainly Heavy cheeks and all its surroundings (Trash 'with Anthrax, ..) and I must say that given the fact his job.Etant current trends and all these groups core'et what I call "new metal" (I think Trivium, LAMG Of God, Mastodon, ...), it enough gain to play all these styles.Peut- even be too much gain. Important point: You need a good guitar with good CONTRL volume, tone, etc. ..
WHY? 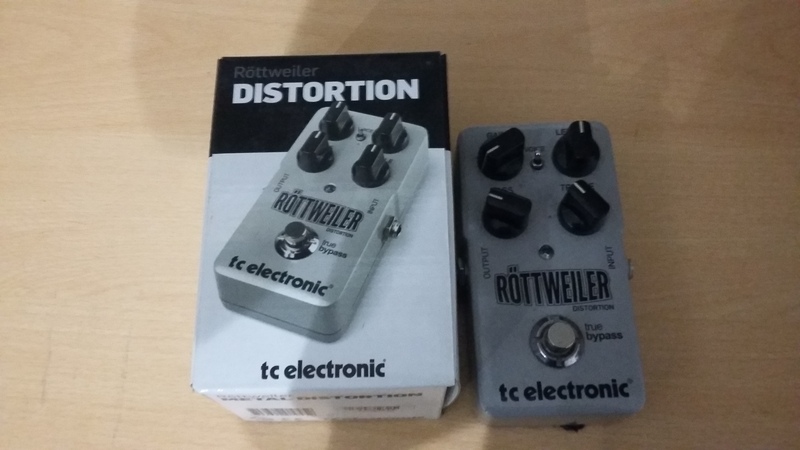 For the simple reason that the pedals are rvle versatile with a good guitar, ds when we go in order: AC / DC, Kiss, JudasPriest, Metallica, fumanchu, Mastodon, .. . Until the end of the volume of the guitar. Strengths: Strong, cheap, a distortion 'versatile guitarist for qute big sound.